To celebrate Piano Day 2018, we’ll take you through our music programme and have a closer look at some of the incredible pianists and their recitals at this year's International Festival. Piano Day is an annual worldwide event celebrating the piano and the joy of playing it, taking place on the 88th day of the year – to represent the 88 keys on a piano. As always, a plethora of world-class pianists will visit Scotland's capital this August: some are well-known faces; others will be making their International Festival debut. To celebrate Piano Day, we've compiled a comprehensive list of the incredible pianist taking to International Festival stages this year. 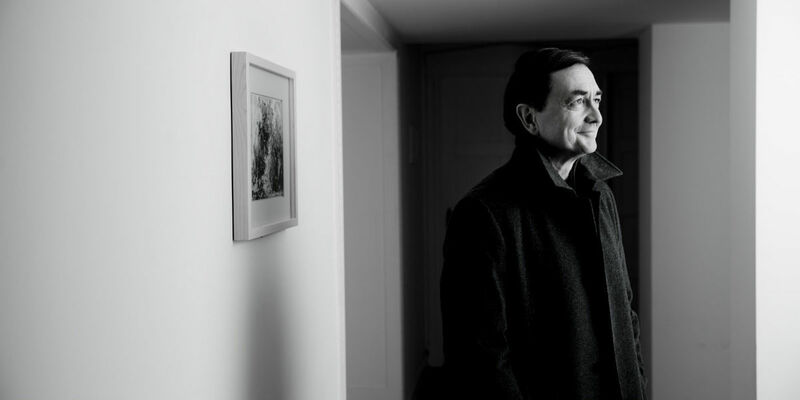 Not just an internationally acclaimed pianist, Pierre-Laurent Aimard is known as one of the great interpreters and musical figures of our time. He is our artist-in-residence at the 2018 International Festival, with three concerts that explore the transcendent sonorities of the piano. The music of French composer Olivier Messiaen will feature in all three of his concerts – most notably his work Des canyons aux étoiles… with the Scottish Chamber Orchestra. He will also perform a beguiling solo recital and one with fellow pianist Tamara Stefanovich. In the Usher Hall, three renowned piano soloists will perform cornerstone concertos with world class orchestras. Venezuelan Gabriela Montero (known for her incredible improvisational skills) takes on Tchaikovsky’s Piano Concerto with the young musicians of The Orchestra of the Americas. Hailed as one of the finest living pianists, Krystian Zimerman joins Sir Simon Rattle and the London Symphony Orchestra to perform Leonard Bernstein’s ‘Age of Anxiety’ Symphony – in this, his centenary year - where the soloist searches for spiritual meaning in a modern world. This is simply an unmissable concert. Finally, celebrated French pianist Jean-Yves Thibaudet will enchant the audience with Marin Alsop and the Baltimore Symphony Orchestra in Gershwin’s masterfully flamboyant Piano Concerto. The Queen’s Hall will host a number of world-famous recitalists in August, exploring very different parts of the keyboard repertoire. Poland’s unparalleled Piotr Anderszewski tackles Beethoven’s Diabelli Variations – an endlessly inventive work, often called the greatest work for piano ever written – as well as a selection of work by J.S. Bach. Historical keyboardists Ronald Brautigam and Robert Levin will bring back to life the works of some of classical music’s most celebrated piano composers. Brautigam focusses on two of the 19th Century’s keyboard masters – Mendelssohn and Chopin – while Levin will perform a selection of Mozart’s most famous and lesser-known works. Both recitals will bring a new context to music we are so used to hearing on modern day instruments. The Canadian virtuoso Marc-André Hamelin performs in two concerts with the Takács Quartet, where together they explore the rich sounds of 19th Century Hungary in both of Dohnányi’s Piano Quintets. Let’s hear it for the accompanists! Any soloist (if they’re being modest!) will tell you that the key to a great performance lies in the chemistry between both themselves and their accompanist. With that in mind, let’s have a look at some of the wonderful pianists appearing with our recitalists. Simon Lepper is kept busy accompanying two emerging singers: firstly tenor Ilker Arcayürek; then Edinburgh-based soprano Catriona Morison, recent recipient of the Cardiff Singer of the World prize. Both perform programmes of heavyweight German lieder. Why change a winning formula? Pianists Alexander Melnikov and David Meier accompany their respective regular recital partners - cellist Jean-Guihen Queyras and violist Eivind Holtsmark Ringstad. In other Queen’s Hall concerts, Katia Labéque performs with Russian violinist Viktoria Mullova; Roger Vignoles, musical partner to many of the world’s greatest singer, accompanies German soprano Dorothea Röschmann; and acclaimed Scottish pianist Steven Osborne appears with the scintillating Canadian violinist James Ehnes. And finally, this round-up not be complete without mentioning our very own Edinburgh Festival Chorus pianist Stuart Hope, who has been the choir’s rehearsal accompanist since 2013. Thanks Stuart!